Overall size: 33.5 x 39 cm. Image size: 32 x 32 cm. Description: Antique print China titled 'Province VII Ho-Nan'. 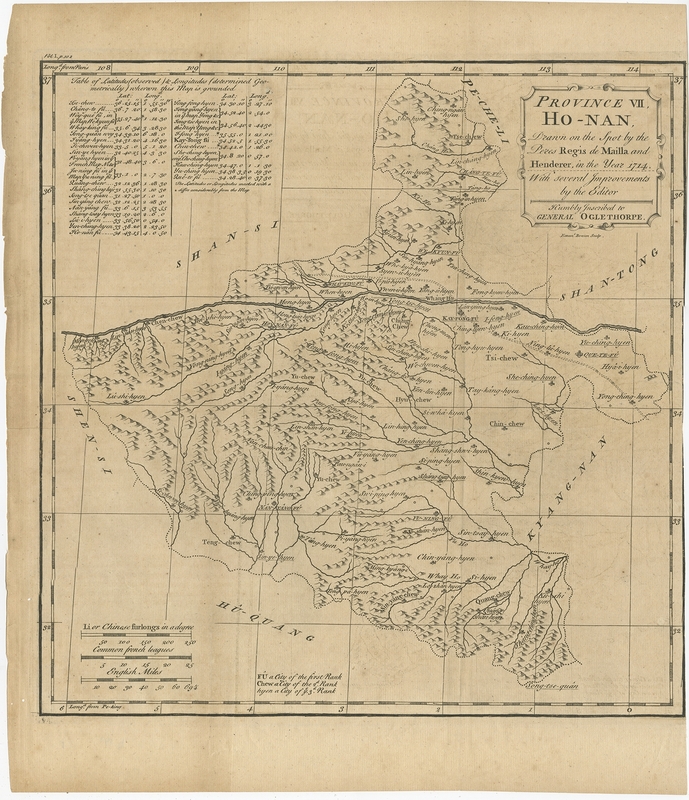 Old map depicting the Henan province of China. Originates from 'A description of the Empire of China and Chinese-Tartary' by by J.B. du Halde. 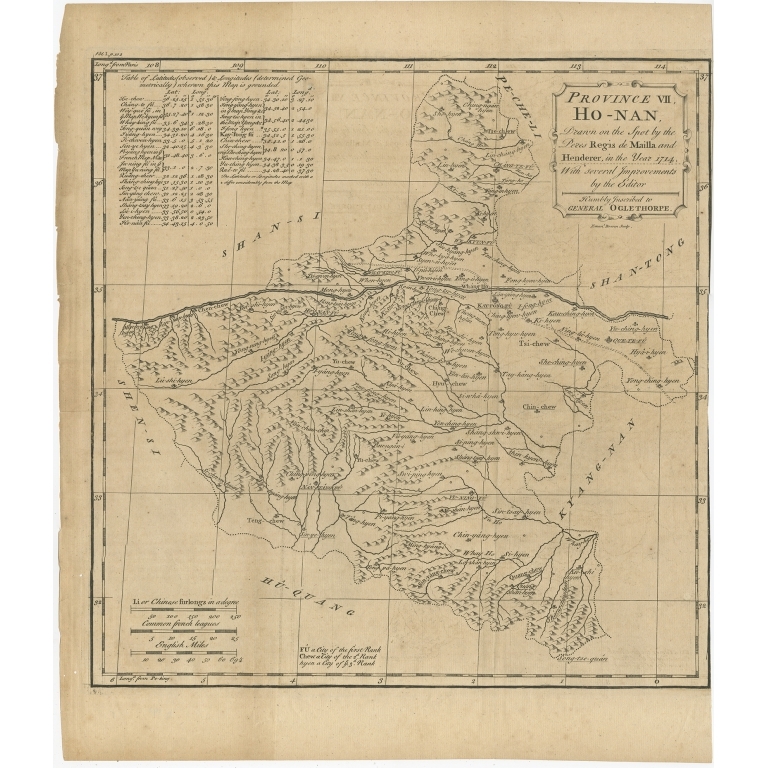 Du Halde's work inspired great interest in China among Europeans, and was a ground breaking work in geography.